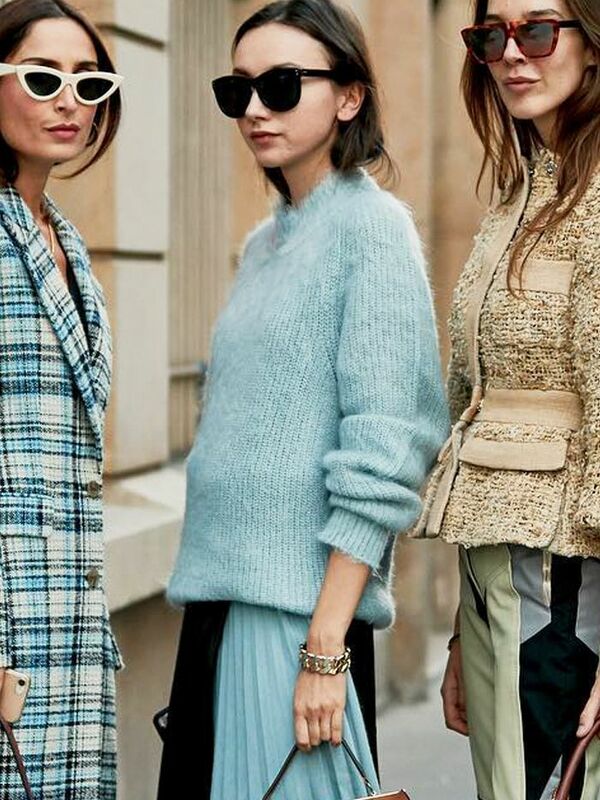 This year, we've seen the formally overlooked skirt reach cult status. 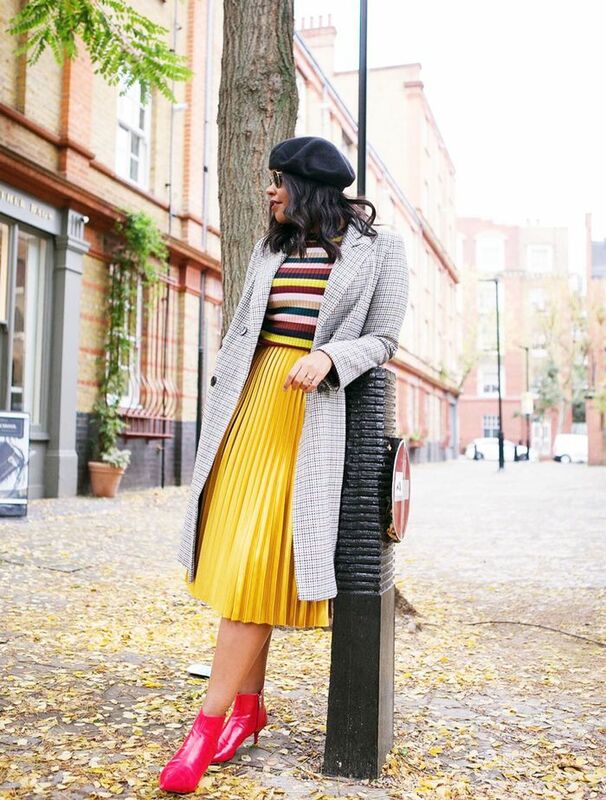 From Réalisation's leopard-print number and Topshop's chocolate slip to Zara's zany checked pencil and H&M's colour-block creation, you can barely scroll three posts deep on your Instagram feed without seeing one your favourite influencers wearing a new must-have style. Fashion's newfound obsession with skirting is something I'm certainly here for. 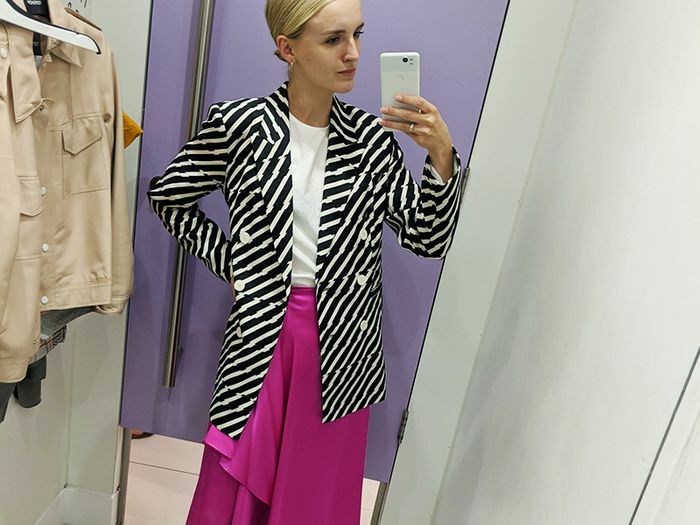 As a self-confessed trouser-phobe, skirts have long served as my separate of choice. And now, like a child in a sweet shop, I have more tasty options to satisfy my shopping appetite than ever before. Don't be fooled, though—there's so much more to the skirt than the over-generalised mini and midi archetypes would have you believe. From handkerchief to pelmet and everything in between, consider this an encyclopedia of the need-to-know types of skirts out there. Style Notes: It all started with Christopher Kane's metallic skirts a few seasons back. Now, the pleated midi is a bonafide style staple. Wear them with white shirting or and oversized jumper for maximum cool points. Style Notes: Pencil skirts have long been dubbed prim, but for 2018, they've been given an edgy overhaul in everything from coloured checks to bright leather. Style Notes: Easily the most flattering style in our roundup, A-line skirts cinch in at the waist and then flow out over the hips and thighs to create (yep, you guessed it) a shape reminiscent of a cape. Style Notes: Skirts that graze the upper thigh and fit close to the body have long been known as the pelmet skirts. Dating back to the '60s, we suggest wearing your mini with knitted tights and brooch-clasp shoes for a cool throwback look. Style Notes: Along with disc belts and fringed waistcoats, maxi skirts were big news back in the '00s. Now, they're slowly making a comeback. Instead of billowing silhouettes, we suggest looking for tapered styles for a more modern look. Style Notes: Handkerchief hems made a big impression on 2018's fashion agenda, and it appears they're still going strong for autumn. With so many prints and price points to choose from, you're guaranteed to find one to suit you. If you ask us, you can't go wrong with stripes or foil finishes. Style Notes: Skirts that sit above the knee and feature a kicked-out hem are often referred to as skater skirts. The shape is designed to flatter all frames, making them one of the most popular skirts out there. Wear with ankle boots and a bomber for off-duty cool. Style Notes: Wrap skirts were all the rage this summer, but in slinky satin finishes, they make for perfect party season attire. Just add a colour-pop roll-neck and metallic sandals. Style Notes: Having been catapulted into the style spotlight, the slip is undoubtedly autumn/winter 2018's need-to-know style. With the ability to be dressed up or down depending on your accessories, it'll fast become one of the most worn items in your wardrobe. Like what you see? Why not snap up one of these Instagram-famous skirts too?